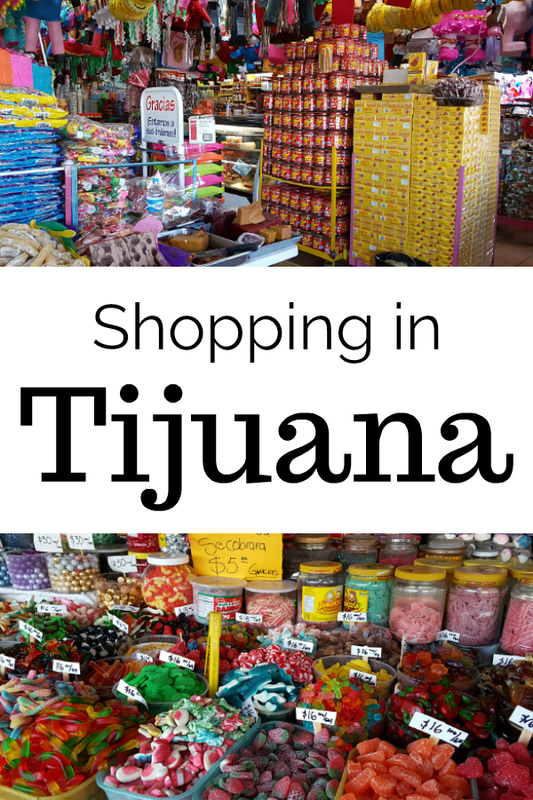 Have you ever been shopping in Tijuana? Shopping in this border town can be a whole lot of fun, and you can get some great deals. Avenida Revolucion (Revolution Avenue) is the main tourist area in historic Downtown Tijuana, which is great for shopping. We also like to shop where the locals do, so we went to Mercado Hidalgo on this trip. Both areas are fun, however, prices are lower when you shop like a local. 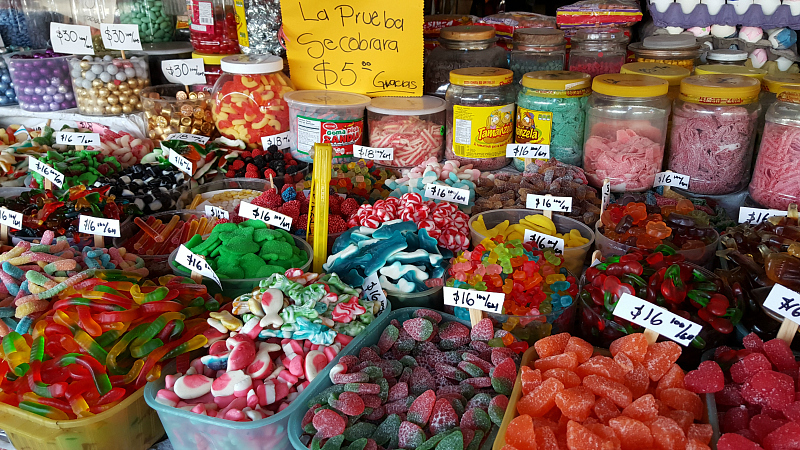 Candy is plentiful and cheap when you are shopping in Tijuana! Each of these bulk candies were less than a dollar a pound, so it’s easy to try a big variety without spending much at all. US dollars are readily accepted throughout Tijuana, so you won't need to exchange money ahead of time. In tourist areas, prices were often listed in dollars. At the local market, each vendor had a calculator to compute prices. They were accurate and fair. I'd recommend bringing small bills, since they may not have dollars on hand to give as change. We love shopping in Tijuana because of the culture, the fun and the good deals!